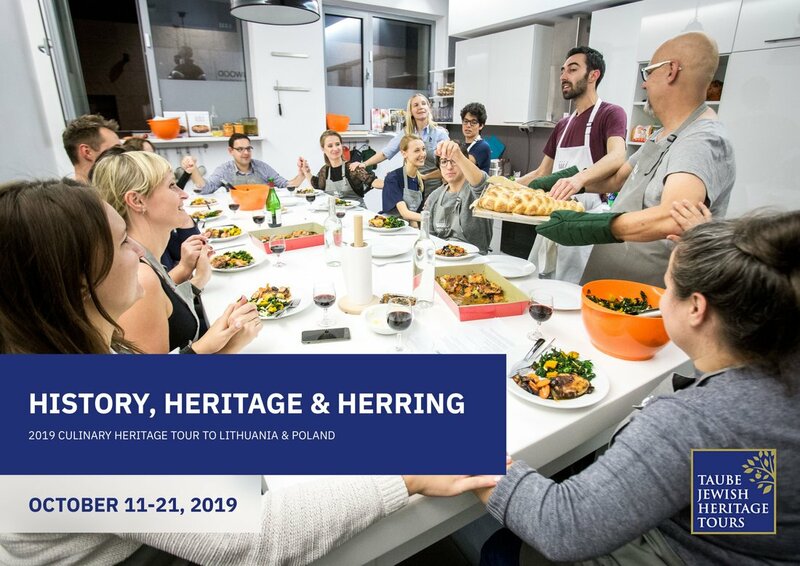 In October 2019, I'll be joining Taube Heritage Tours as their scholar and chef-in-residence for History, Heritage and Herring, the first ever culinary heritage tour of eastern Europe. Have you ever wanted to get in touch with your roots in eastern Europe and experience a thousand years of Jewish history firsthand while also eating thoughtfully curated meals, learning the roots of Jewish food traditions, taking cooking classes and getting to know the terroir through market tours and farm visits? If so, this trip's for you. Jewish Food Hero interviewed me about my work in the food world. I made a how-to sauerkraut video as a collaboration between The 92nd Street Y and The Gefilteria. Check it out. I produced three cooking videos on Jewish holiday classics with The Gefilteria and Disruption Magazine, including Stuffed Gefilte Fish, Blintzes and Crispy Chicken with Tsimmes. View them here. An episode of Gravy, the food podcast from The Southern Foodways Alliance, called Going Whole Hog in Israel reported on the pork industry in Israel and interviewed me. I headlined the Gefilte Ball, a gefilte fish celebration at Berlin's first Jewish food festival, Nosh Berlin. Read it about in The New York Times. Wrote an oped about the Passover industrial food complex for The New York Times. Let's bring back the Hanukkah Goose! My oped in The New York Times. The New Yorker ran a think piece about gefilte fish, and featured me and The Gefilte Manifesto. I cooked dishes from my cookbook with a producer at NPR's All Things Considered. Was named to Forbes Magazine’s 30 under 30 list in Food and Wine. Vice's food channel, Munchies, ran a pretty sweet profile of me and my business partner. Was listed as one of 50 influencers by the Forward newspaper. As part of Gefilteria, was a guest chef at the James Beard House kitchen in both 2013 and 2014. The New York Times covered The Gefilteria and the Ashkenazi food trend, and used a few choice quotes of mine. Sometimes I get calls from Serious Eats about the strange sticking power of Celery Soda in the US. I take them and talk for a while about this kind of stuff. All about my fascination with the pork taboo and my research on Israel's pork industry and Pork Memoirs ​in Tablet Magazine. Smith Magazine spoke to me about the literary site Pork Memoirs. ​When Daniella Cheslow from The Tel Aviv Table, a radio show on TLV1, called to talk charcuterie and farming, I couldn't pass up the opportunity. .
Getting to speak about pickles and pork with Mitchell Davis on an early episode of his incredible radio show, Taste Matters, remains a true highlight of mine in this crazy food world.